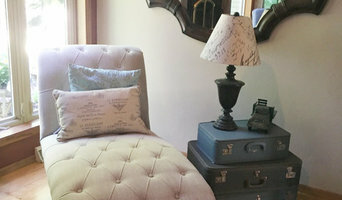 ABK Interiors is a sole proprietorship owned and operated by Annette Kuester who creates personalized, fresh, creative spaces that work for your lifestyle and budget. Annette's approachable style and 25 plus years of experience will put you at ease immediately when you meet her. 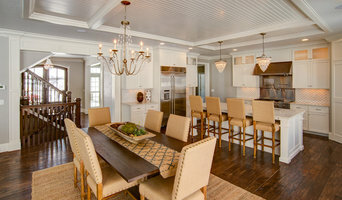 Annette specializes in large scale remodeling, kitchen and bath design and entire home new construction projects. As a consultant, however she is happy to assist clients on any level and at any stage of a project. 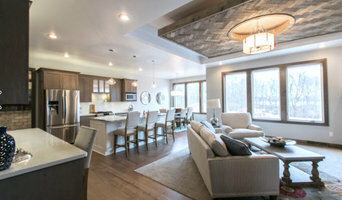 Cypress Homes is a truly unique company in the Wisconsin home building marketplace. We are a member of multiple home builders’ associations and we showcase our custom homes in various Wisconsin Parade of Homes shows. Cypress Homes has grown considerably over the last 21 years by building in Appleton, Oshkosh, Green Bay, Manitowoc and other Northeast Wisconsin locations. The company has become a leader in home building technology, customer relations, and environmental issues concerning both the home building industry and the community. 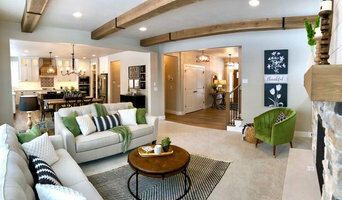 The main focus for Cypress Homes is to build your family one of the finest homes available at a very competitive price. TCD Homes is a full service custom home builder whose goal is to provide an easy and professional way to build your dream home. By effectively managing sub-contractors and buyers, TCD Homes gives each and every home buyer a quality home they can be proud of. Building a quality home requires loyal vendors and trade contractors who understand the process we call the "TCD Way". Clients need assurance that their home will be completed on-time and within budget. Ask us about our "Candid Cost Construction" method. For over 110 years and four generations, Welhouse Construction Services, LLC has been the leader in providing structural design, remodeling, building, and interior design services for residential and commercial properties throughout Northeast Wisconsin. At Welhouse Construction Services, we believe that your home reflects the way you live, work, and relax. It is a gathering place for families and friends where life time memories are created. Enhance your memories by transforming your home to meet your needs and dreams. It is the only general contracting company in the Fox Valley with two National Association of the Remodeling Industry (NARI) Certified Remodelers, and one Green Certified Professional. Also on staff is a Universal Design Certified Professional, Certified Remodeler Project Manager, a National Association of Home Builders Certified Aging in Place Specialist, and an Interior Designer. Contact us for all your remodeling and building needs - additions, kitchens, baths, finished basements and attics, universal design, garages, siding, windows, doors, roofs, decks, new construction, interior design and more! Quality Custom Home Builder. Special attention to design and detail. We build all size homes, from starter homes to luxury homes and cottages. Our services include lot selection consultation, plan design, contracting services, and remodeling services. Meet Valerie Jaksic. As a professional since 2000, this talented individual is always on the lookout for the next great project, and is dedicated to providing functional and creative solutions. Valerie brings over 18 years of experience in the design, construction, and textile industry. She has worked on a variety of projects from residential, commercial, retail, and multifamily with scopes that include simple finish selections, color consultation, and concept to completion. She strives to bring an elevated luxury to her designs by using unique materials, challenging industry standards, embracing new ideas, and pushing the envelope of design & creativity. Valerie's goal is to help clients enjoy the creative process by lifting the stress of making decisions, staying within budgets, and keeping the project on track. Her personalized level of service will make sure that each project gets the attention it deserves. At the heart of every project is the ability to enhance the space by paying close attention to how people interact with the environment they are in and translating that to reflect the clients personality. Valerie believes that our homes are a reflection of ourselves and she strives to create mood lifting environments that not only look good but make you feel good. 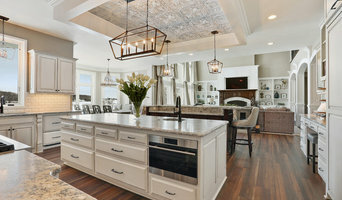 Radue Homes Inc. is a custom home builder serving the state of Wisconsin. We are a family owned and operated home building business and we take pride in every detail. We specialize in unique finishes and designs. If you want something extraordinary, build with us! Quality and customer service is what you get at Granite Stoneworks. From custom kitchens, vanities, countertops, cabinets, fixtures and more! Accepting all customer jobs large or small! **We can finance your project up to $15,000 through “One Main Financial” Easy application and approval in less than 24 hrs! We also offer Home Measure Ups! ** Builders and Cabinet makers: ask us about our referral discounts! Even if you're the kind of person who makes everything a DIY project, there's always a point when a home remodeling or decorating project could use a professional set of eyes. Whether you are redoing your backyard, need some help planning your living room or can't figure out where to put the kitchen sink, a quality home professional in Wrightstown, WI can help you do it right. Hiring a qualified Wrightstown, WI home professional puts their years of schooling, certifications, training and experience right at your fingertips. But before you start sending out dozens of emails and making phone calls, sit down and think about your project. What's your budget? What is the scope of your project? Will you need more than one type of professional to complete your home improvement project in Wrightstown, WI? Can you afford to complete the full project now, or should you tackle it bit by bit? Once you've settled on your project’s priorities, budget and scope, it's time to start researching Wrightstown, WI home design professionals. Don't sell yourself short and settle on the first professional you set your sights on. Make sure that you're working with someone local, who can get to the jobsite easily and efficiently. Look into the person’s reviews, ask to speak with former clients and to see previous jobs in person. Take a good look at their portfolio photos: How similar are these projects to your own? Be honest — that mansion might look beautiful, but it might not have a lot in common with your little bungalow. Reach out to multiple professionals — especially for larger projects — and don't settle for the first bid you hear. Comparing multiple Wrightstown, WI professionals' bids and experiences can help you find the one that’s best for you. Ask a lot of questions now, so you won't have unexpected answers later. Find a home design professional on Houzz. Narrow down your search by type of professional and location. Browse Wrightstown, WI portfolio photos, read client reviews and contact each Wrightstown, WI professional for more information. Check out the information in the specialized professional sections too for tips on how to hire the right professional for your project.